These lovely guys were for dinner last night and how fabulous they turned out. 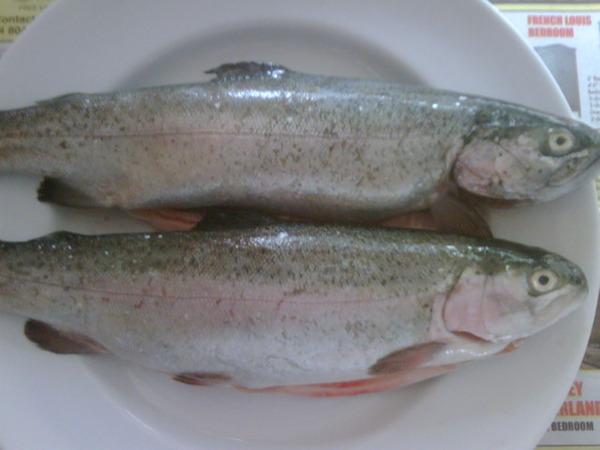 Heres a lovely recipe for cooking trout, should you catch any this summer. Place fish in a greased shallow 3-qt. baking dish. In a small bowl, combine the sour cream, Parmesan cheese, lemon juice, onion and salt; spread over fish. Sprinkle with paprika. Bake, uncovered, at 350 degrees F for 20-25 minutes or until fish flakes easily with a fork.